Some Hermitage School students spend their free time kicking, punching and stretching. They are learning karate. 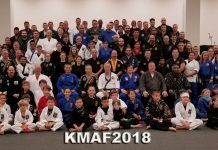 Bill Sanders, Hermitage Middle School social studies teacher, is also a Black Belt in Shotokan and is teaching karate classes to Hermitage students. Students from second grade through the twelfth are participating in the fast paced and grueling workouts. Classes are held in the multi-purpose room at the school and are split into two sections. One class is second grade through fifth grade is held Mondays and Thursdays after school. The other is for sixth through twelfth grade and is Thursday nights from 7 to 9. 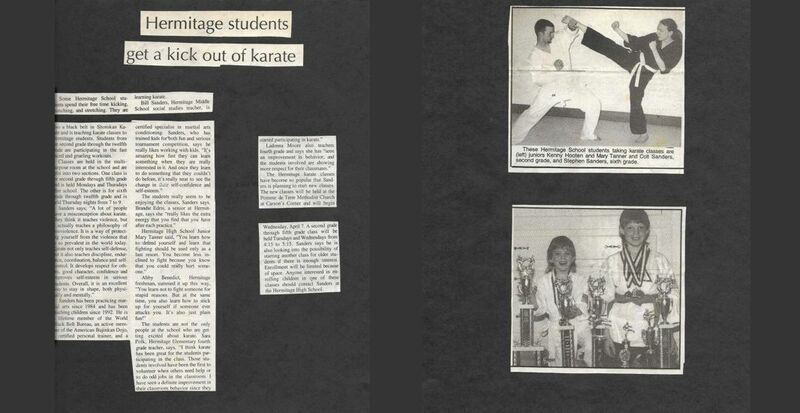 Sanders has been practicing martial arts since 1984 and has been teaching children since 1992. 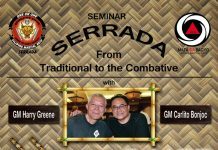 He is lifetime member of the World Black Belt Bureau, an active member of the American Bujinkan Dojo, certified personal trainer, and a certified specialist in martial arts conditioning. 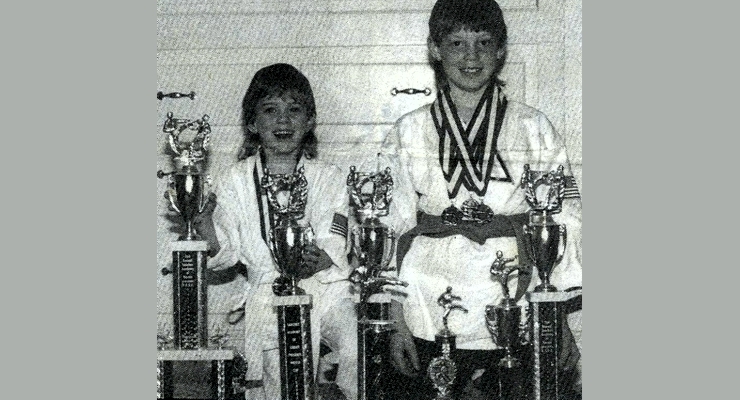 Hermitage School Students Colt and Stephen Sanders with karate trophies and medals. 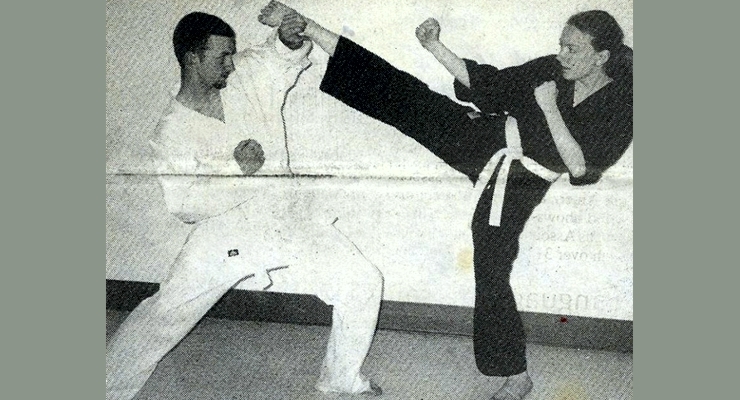 Hermitage School Students, Juniors Kenny Hooten and Mary Tanner, practicing karate. 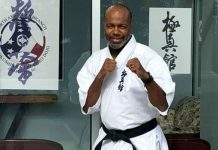 The Hermitage karate classes have become so popular that Sanders is planning to start new classes. The new classes will be held at the Pomme de Tent Methodist Church at Carson’s Corner and will begin Wednesday, April 7. A second grade through fifth grade class will be held Tuesdays and Wednesdays from 4:15 to 5:15. Sanders says he is also looking into the possibility of starting another class for older students if there is enough interest. 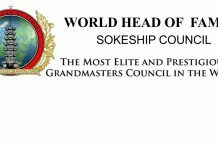 Enrollment will be limited because of space. Anyone interested in enrolling children in one of these classes should contact Sanders at the Hermitage High School. Originally published in 1998 in The Index, Hermitage Missouri.